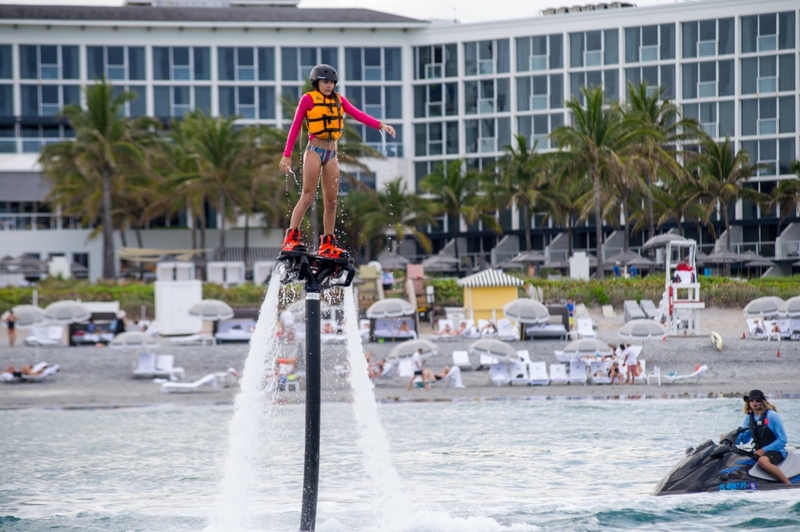 Boca Raton has abundant Watersport activities for any age all year long. You can start at Lake Boca and travel the Intracoastal north or south or cruise through the Boca Raton Inlet into the Ocean. Lake Boca sits between the Intracoastal and the Atlantic Ocean. There are several Resorts offering direct access. The Waterstone Resort & Marina is closest and sits literally on the Boca Inlet. It's a great place to get a room with an ocean or inlet view or just go for a meal and watch the boats cruise in and out of the Ocean. You'll see some beautiful yachts, sailboats and more. Flying Fish Watersports is located at the Resort. It has Jet-ski - Wave-runner rentals, Paddle-board rentals, kayak and boat rentals from the Resort dock. In minutes you'll be on the water. Speaking of the water, it's like a trip the Florida Keys most days. The water is extremely clean and clear and full of fish who are regularly found swimming under the Waterstone docks. Feeding the fish is encouraged and fun. Manatee, Manta Rays, and many other exotic fish travel in and out of the Boca Inlet so there's a good chance you'll see some of this life at some point. Watersports are an integral part of the Lake Boca but just chilling on the deck, you'll also be entertained. The north side of the Boca Inlet is the Boca Resort and Club beach. It's not private as Florida law allows anyone on any beach up to the end of the waterline. The north side is usually the calm side with a long sloping sandy bottom and much marine life as it's right next to the Inlet. The South side of the Boca Raton Inlet is a state park “South Inlet Park”. You can park and swim or pay for parking at the Waterstone and walk a block to the park. Snorkeling is GREAT at South Inlet Park. You can walk right into the water and swim yards off the beach and see abundant sea life & coral. We’ve seen spotted eagle rays, parrot fish, look-downs and much more! No need for a boat here .. just swim out and enjoy. You can pay for a snorkel tour at Flying Fish Watersports and have a guide take you there by Banana Boat or Jet Ski. Guides know where to go and can read the currents and tides making the whole experience even safer. Surfing is not always an option in Florida because our waters are generally calm so waves are dependent on weather. When it’s good it’s really fun! Florida wave are generally small, keeping them safer, and close to shore. There are lessons available at the beach and you can contact the Waterstone Resort for private lessons. They are much more affordable than you think and a great way to have success surfing if you really want to experience it and actually stand up on the board!! Flyboarding is a blast. Jets of water under your feet shoot you up into the air (not too high) and you are gently lowered by an operator who oversees your whole experience. Fyboarding is doable for any age and is very safe and exciting. You will not forget doing this! Everyone enjoys cruising down the Intracoastal or along the shore of the Atlantic. Bring some food and drinks and hire a captain if you really want to treat yourself and your group. 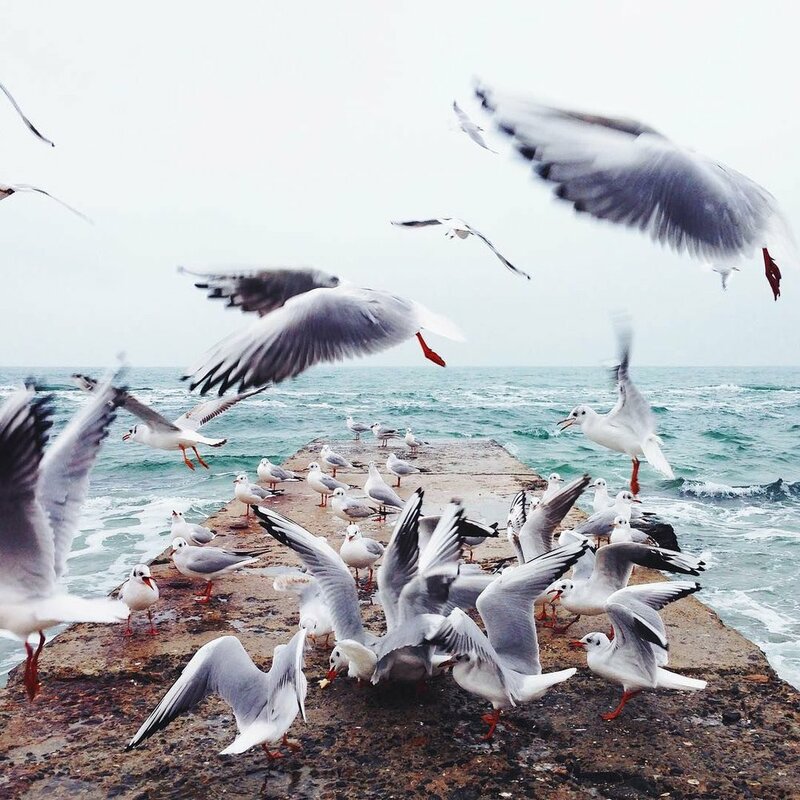 Flying Fish offers boats for doing just that! 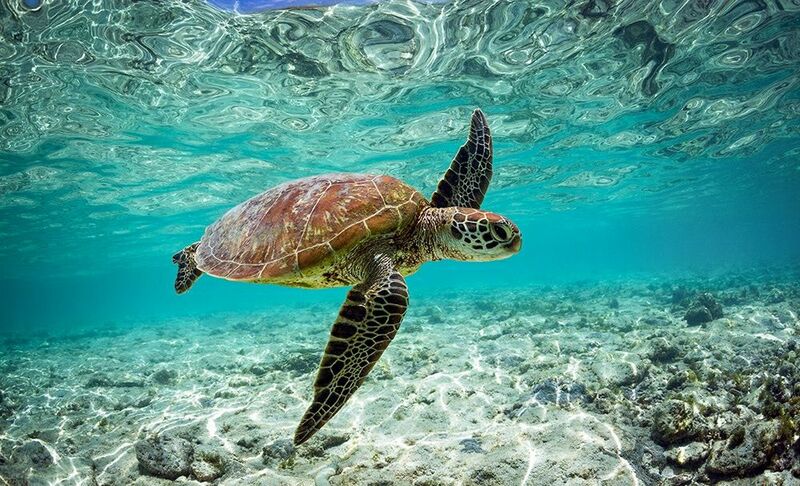 Morning or evening cruising will be the coolest, and you’ll see the most sea life. If you want that tan, going out on the boat is a fun relaxing way to get some sun and enjoy the sea life along the Intracoastal Waterway or Ocean. There are places along the Intracoastal where you can beach the boat and swim in very clean clear water, it’s very much like a Caribbean experience. Charter fishing on large or small boats can be arranged but you’ll need to plan ahead a little. Call the Dockmaster at the Waterstone and set it up. You don’t need to go out very far to find some great fishing! Boca Bash takes place each Spring on Lake Boca in Boca Raton, Florida. It’s an informal gathering of boats has been getting bigger and more popular every year. Beware it can get crazy. Boca Bash is best known for large raft-ups - sometimes of dozens of boats, hot bodies, and plenty of drinks. This is an event your best watching from dockside a the Waterstone or from afar on your boat anchored at the North end of the lake safely away from the craziness. Every Christmas Boca has a Boat Parade. This is a fun event. People gather all along the Intracoastal, watch and cheer the decorated boats cruising by. This is a true family event that’s free and memorable and worth attending if you’re in Boca during the Winter Holiday season. FYI Lake Boca is a great location to view the parade. Even better, get a room at the Waterstone or Boca Resort and get a magnificent view of everything! You’ll need to plan ahead to do this it’s a well known event. Lake Boca is a great place to paddle board. It’s almost always calm, there’s clean clear water to traverse and ample sea life to enjoy under your feet / board. Be careful of the currents that can be strong sometimes and really give you workout trying to manage. It’s best to paddle against the current to start and then your trip back to the dock will be fun and easy. You will also need to be aware of the boats around you and be careful not to go near the inlet bridge or the Palmetto Park Road bridge. 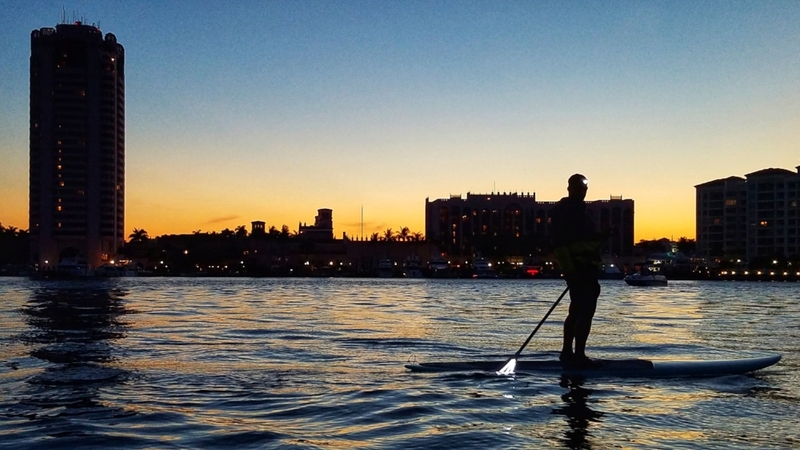 Night Paddle Boarding is a unique experience. The water is very different at night. The paddles are lighted so the paddle action is more exciting. There’s a little danger (not really) but it feels like it, your senses are turned on in the water … in the dark! No sea monsters, but you may see some fish and trust me its exciting when that happens. Group Night Paddle Boarding is even better. It’s just fun when a group navigates together around Lake Boca and the Intracoastal in the dark. There are lights from the surrounding hotels so it’s never pitch black. Okay this is fun, no matter the age. Its a fast ride on a big blow-up Banana with up to 8 people. You will bounce around a lot, and you’ll have to hang on around the turns. The whole time you’re out in the Ocean so it has a different feel from doing this kind of thing in a lake somewhere inland. Banana Boat Rides are a hit for a kids birthday party or any group. The rides last 20 minutes, most people go twice. Many hotel guests ride every day its just a fun way to get on the ocean and feel some excitement. Everyone loves renting Jet Skis on the Atlantic and In Boca Lake and the Intracoastal. There are age restrictions and you do need to take care not to go crazy because if you break it … you fix it. Jet Skis are basically motorcycles on the water and expensive to fix. Anyway they are available at the Waterstone and the Boca Hotel for rent. You can be on the water in minutes. Most rentals are hourly. It’s a great way to explore the water on your own without the workout that a SUP or Kayak require. From the Boca Resort Beach you can rent a Hobie Cat. Sailing is easy as the Florida breezes are usually gentle. Be safe, have fun, but stay close to shore because the Gulf Stream is not far out and the currents will take you north. Surf Lessons are so much easier with instruction! Just like snow skiing the lessons make the whole experience more fun and much less frustrating. I like to go it alone when I do most of the things listed above by myself. So many things we do on the water are meditative. There’s so much to do and so much to see in Boca on the Water. The resorts have got you covered when it comes to rentals and group events. Be safe and have fun!